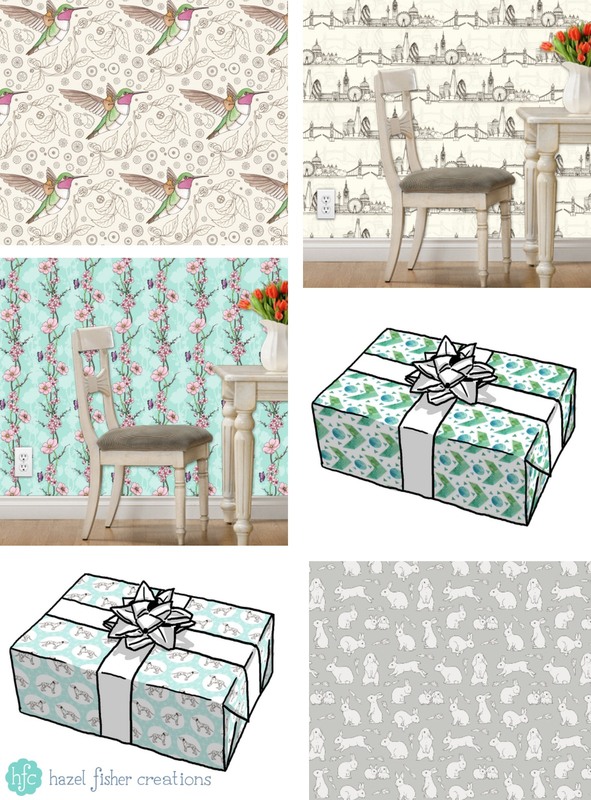 I introduced a few new designs to my Etsy and Spoonflower shops in June (I can't believe that it will be July tomorrow already!). 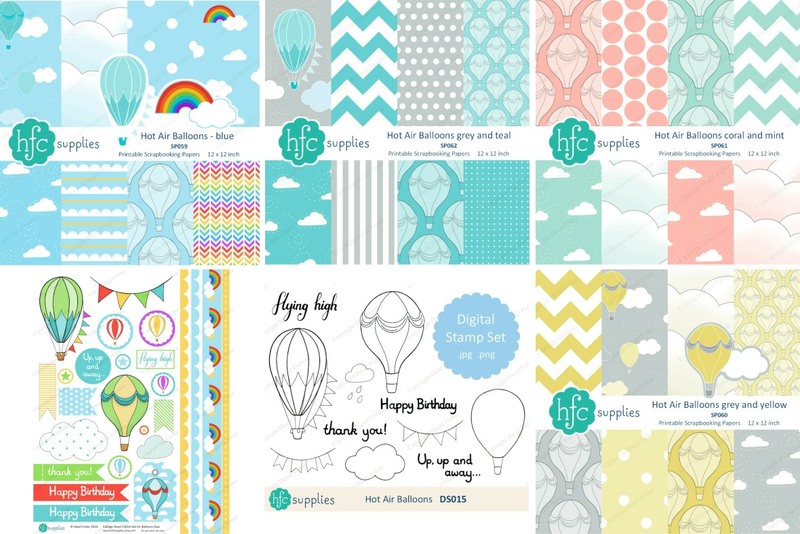 Most of my new printable designs this month were around the Hot Air Balloon theme and included sets of scrapbooking papers in different colour schemes; blue, grey and teal, coral and mint, grey and yellow. Lots of lovely colours - I'm not sure which is my favourite, which one do you like best? 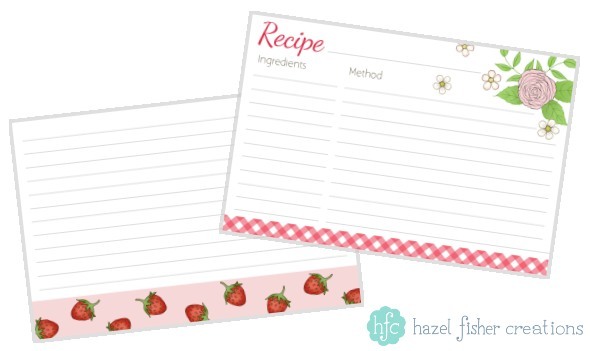 I also have a new collage sheet, designed to coordinate with the blue set of papers, and a set of digital stamps. On Spoonflower I have released a batch of new designs on fabric, wallpaper and giftwrap after receiving test prints on this sampler.. 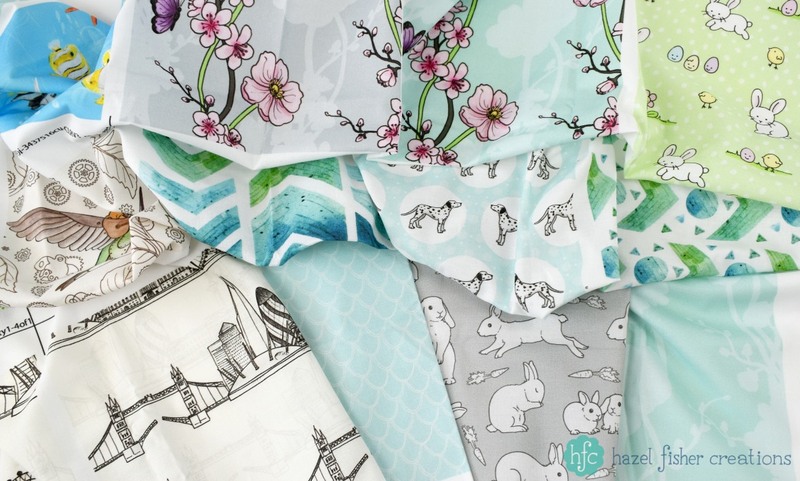 The new designs are on a variety of subjects, including Steampunk Clockwork Hummingbirds, London skyline, Japanese garden designs inspired by cherry blossom, watercolour geometric patterns, dalmations and rabbits (including an Easter one, which I know is a little unseasonal but will be ready for creating Easter projects for next year! ).